My client was founded in 1978 in Paris, France and is now a world leader Customer Relationship Management company, offering solutions for customer care, technical support, sales, e-Performance for prestigious international brands like Orange, Expedia, Symantec, Education First, Western Union, Skype, Apple, Bausch + Lomb to name a few. They have more than 135,000 employees working in 270 contact centres in 46 countries and offer projects in more than 66 languages. The client, Microsoft is a well-known develops, manufactures, licenses, supports and sells computer software, consumer electronics and personal computers and services is currently looking for Danish/Swedish AND Norwegian speaking Customer Support for our Technical Support Team in Athens, Greece. This is a challenging and multi-tasking role dealing with issues of varying complexity. You will be providing both customer service to a broad spectrum of our Client’s customers with wide ranging queries. The Main form of communication is via the telephone, however support via chat and email also contributes to the agents workload. 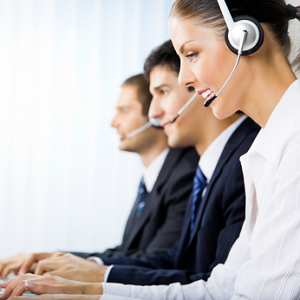 You will be expected to Handle and resolve customer queries and issues. The role encourages continuous learning and the completion of online training on products and technologies. •	Customer focussed and able to provide professional, polite customer service. •	Well organised approach to work, balancing workload to ensure targets are met and ability to demonstrate good time management skills. •	1300 euro gross per month x 14 + upto €100 Monthly Bonus + extra salary at Christmas, ½ month extra salary at Easter and ½ month extra salary at Summer holidays. •	Free Accommodation for 2 weeks!